More than 90 percent of 37,000 McDonald’s stores are owned by franchisees. McDonald’s Corp. is embarking on a remodeling plan that will be paid for by individual owners. A component of the plan is the installation of a service-area modernization (SAM) wall between the counter and the kitchen. 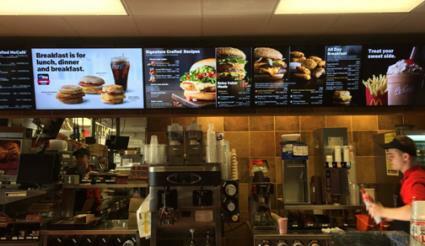 McDonald’s claims that this improvement will reduce noise and shield activities in the kitchen from customers. Franchisees complain that the expense is unnecessary and could represent a security risk. The costs involved in erecting the SAM and other required changes are opposed by franchisees. During the fourth quarter of 2018, a national owners association was formed and has become active in opposing what they consider to be unnecessary expenditures. In a strongly worded letter dated January 15th, the national owners association stated that it did not wish to pursue useless and problematic investing and to focus on improvements that will show a positive return on investment including upgrades to drive-thru areas for customer convenience. 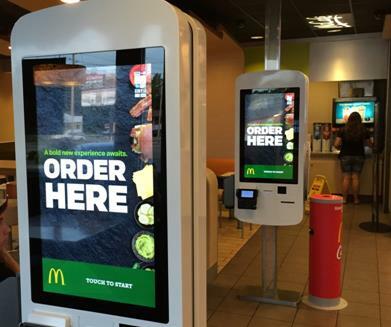 Self-serve kiosks have been introduced by McDonald’s. There is a question as to whether these additions are efficient and acceptable to customers. A number of recent experiences have confirmed that ordering using a kiosk is initially frustrating and takes longer than communicating with a counter attendant. In many cases there is confusion in selection of an order from an expanded menu especially when groups of customers are involved. McDonald’s corporation and its franchisees must establish a measure of harmony and cooperation unless customer satisfaction and sales will be impacted. The experience of Subway is illustrative in this respect.